Address: 35 Sunset Cove Dr.
Beautiful home in Sunset Cove gated community. One level open concept living with kitchen open to dining & living area. double car attached garage. High ceilings, gas log fireplace, huge master bedroom and luxurious master bath with shower, Jetted tub, and walk in closet. Additional bedroom nice size with a large closet. There is also a bonus/multi purpose room. Lots of extras including alarm & sprinkler system.Abundance of storage in this immaculate home, plus pull down storage in the garage. 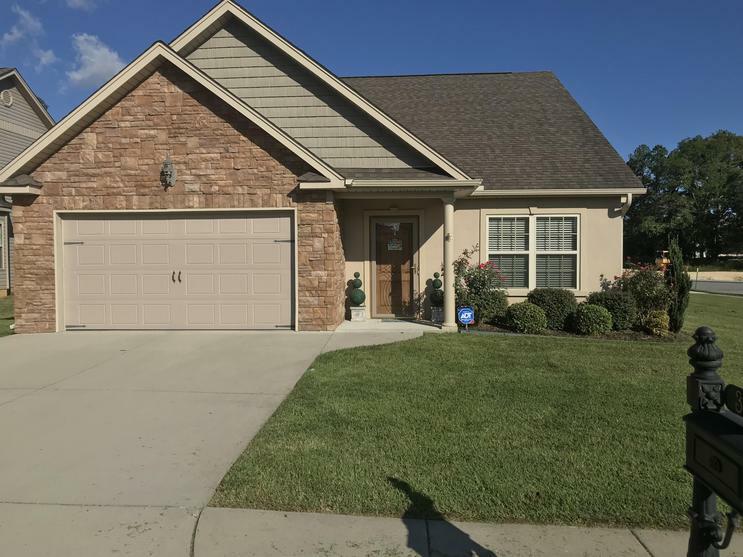 Nice screened in back porch to enjoy the outdoors & wonderful neighborhood with nice sidewalks and your lawn service is included in the low HOA fee. Wonderful corner lot, and location is convenient to interstate, shopping, restaurants, hospitals, and more! Better hurry on this one. Its a winner!